A historical painting in the resort show depicts an early Festival of Art exhibition. 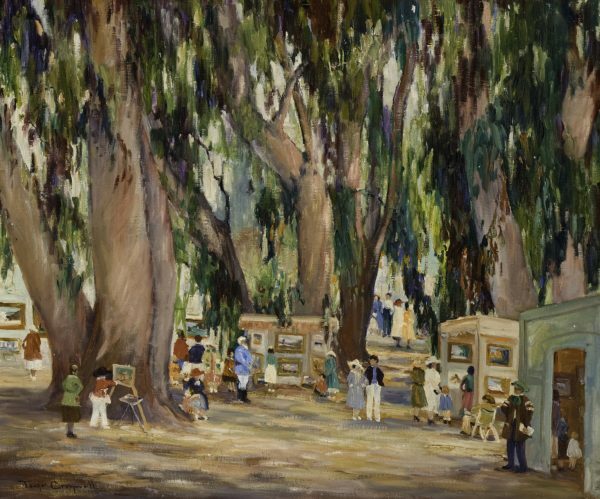 “Festival in Laguna” done by Joanne Cromwell in 1933 and is from the Lorna Mills Special Collection in the Festival of Arts Permanent Collection. The Ritz-Carlton, Laguna Niguel, presents “85 Years of Art,” a summer exhibit allied with the Pageant of the Masters and Festival of Arts in Laguna Beach. Guests are invited to view this recently opened display at the resort through Sept. 5. The exhibit includes work from the Festival’s permanent collection from 1913 to 2015, including historic photographs, vintage news articles and early promotional materials, said exhibit curator Pat Sparkuhl. The resort is located at 1 Ritz Carlton Dr., Dana Point. Sean Hunter, left, with one of his images purchased by Arbitech. Sawdust Art Festival artists Sean Hunter Brown and Jason Rate recently installed commissions in the Irvine office of Arbitech, an independent distributor of data center products. 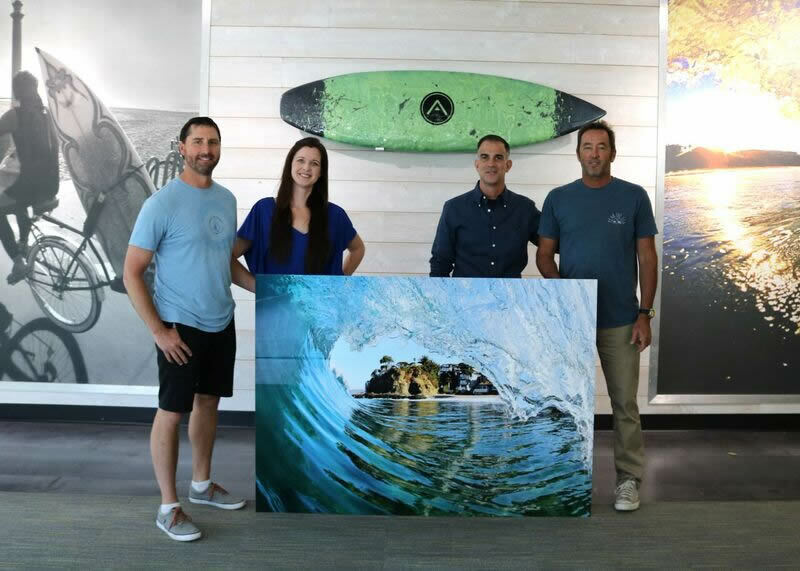 Rate’s classic surfboard resin art was featured miniaturized, mounted on every door as name plaques, and his full-size resin surfboards hung on walls in the lobby. 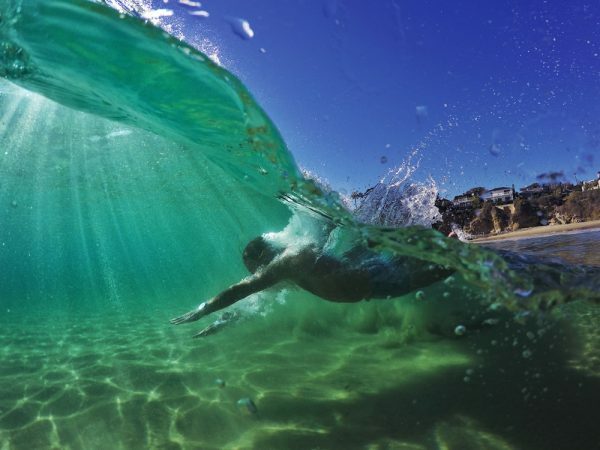 Brown’s photography adorned several areas, including a vibrant three-panel triptych inside the barrel of a wave on a radiant day. 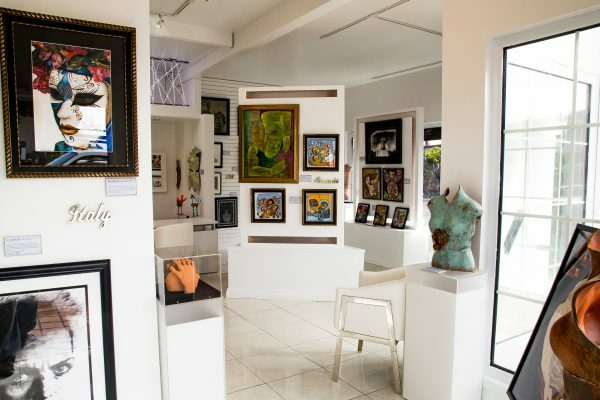 The Laguna Bluebelt’s sixth annual artist reception and exhibit is planned for 6-8 p.m. Friday, June 2, at the Forest and Ocean Gallery, 480 Ocean Ave. Judges this year were Mark Chamberlain, Mitch Ridder and Pat Sparkuhl. Each year the winners have highlighted a unique aspect of the Laguna Bluebelt. This year Chris Wassmann’s honorable mention addressed the impact of ocean pollution from urban runoff. See the winners online. One of the winning images in the contest. A sample of some works in the new gallery. Discover Emerging Artists Showcase, an online venture of entrepreneur Michelle Pearl, has opened a bricks-and-mortar gallery in Laguna Beach, 1400 S. Coast Highway Suite 101, and plans a grand opening Thursday, June 1, during Art Walk. In addition to paintings and sculptures, the gallery features art glass pieces, charcoal renderings, art purses, and more. Artists from over two dozen countries are represented. The opening will feature a raffle for two sculptures, live entertainment and refreshments beginning at 6 p.m.
Artists and associates are invited to the non-denominational Blessing of Artists ceremony at 7 p.m. Friday, May 26, at Saint Catherine’s Church, 1042 Temple Terrace. 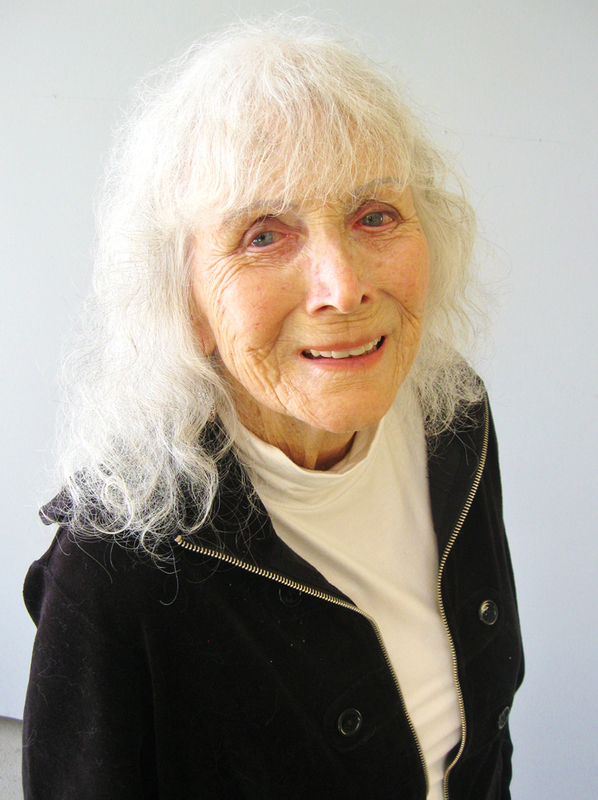 Anne England encourages artists to be blessed May 26. Photo by Mike Tauber. Printmaker Anne England was among the founders of the event, started more than 20 years ago and presented by the Saint Catherine of Sienna Council of Catholic Women. “It’s a beautiful ceremony where we can feel blessed and reminded of the value of our work and talents,” said England.